Cousin Nestor told me that you should always be aware of your face, and how it looks to other people. I was 21, just out of the Navy, and green as a 12-year-old about how to get along in life, especially in nice company. I was comfortable, or at least I knew the territory, of the rough neighborhoods my family had lived in—San Francisco and, especially, Brooklyn. Nestor was a salesman, and had been since he was a youngster. 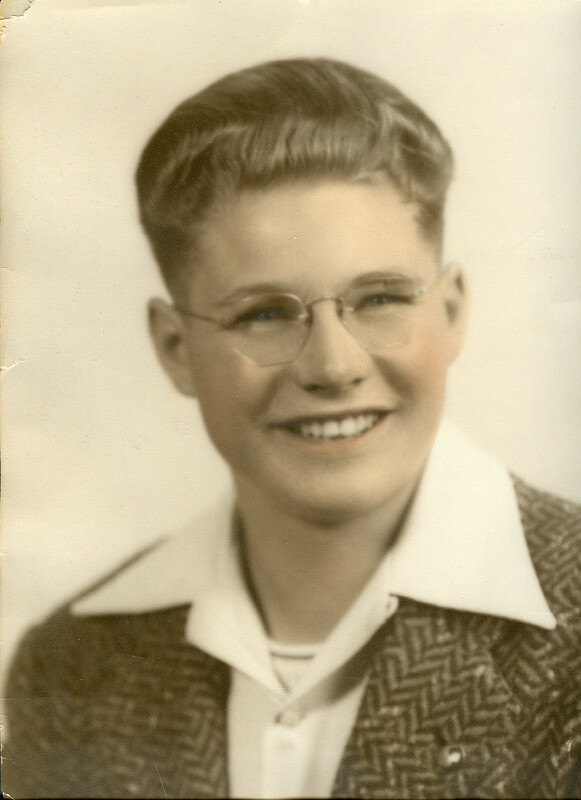 His dad died when he was eleven, in the middle of the Great Depression, and my dad, his older cousin by ten years, had taken care of him and his dotty mother, Aunt Genevieve, as his only surviving family. Dad’s parents died the same year as Nestor’s father. Nestor had a pleasant, open face with a nice head of wavy, light-colored hair and a constant smile. He tended to squint a bit behind his glasses, but it gave him the appearance of being sincere which, as a salesman, was essential. He sold apples on San Francisco’s streets, and because he was younger and had learned to be engaging, he was more successful than the older men who were also in financial straits during the Depression. So, here I was at 21, an ex-third class petty officer, waiting a few months before starting community college, needing to get civilized. Nestor was the man to do it. He had been a men’s wear salesman and knew how to outfit me with a suit and casual clothes. I’d already determined to spend some of my mustering out pay on contact lenses so I would no longer be “four-eyes,” or “goggle-eyes” as I was called, among other names, during my family’s five years in Brooklyn. After I was dressed properly and had my new eyes, Nestor took me to several bars and restaurants to teach me how to be in them. All the while, I watched Nestor’s face, since this was the first piece of advice he gave me. I began to emulate him. While walking alone in City’s streets I would consciously relax my face and allow a slight upward movement in the corners of my mouth. As I did this, I visualized Dad’s face and realized he had the same habit. It must be a family trait, I felt. So I adopted this habit feeling it a good thing in itself. Over the years, I have realized that some people I pass in the street, or especially the neighborhood, look me in the eye and give me a small but distinct smile. I check my face and realize—I, too, had been smiling. A eulogy for Nestor, with photographs, can be viewed here. This entry was posted in Family, Memoirs and tagged Brooklyn, Salesman, San Francisco, Smiling, The Great Depression, U.S. Navy. Bookmark the permalink. Yes, Henry and I corresponded about our shared ancestor and other genealogy things. I liked him very much and feel a loss from his death.